Hipster retro shop Meteor is once again holding its "My Famicase" exhibit. Like last year, the show features Nintendo Famicom cartridges for games that never were created by artists and designers. This year, My Famicase Exhibition is 58 carts strong. 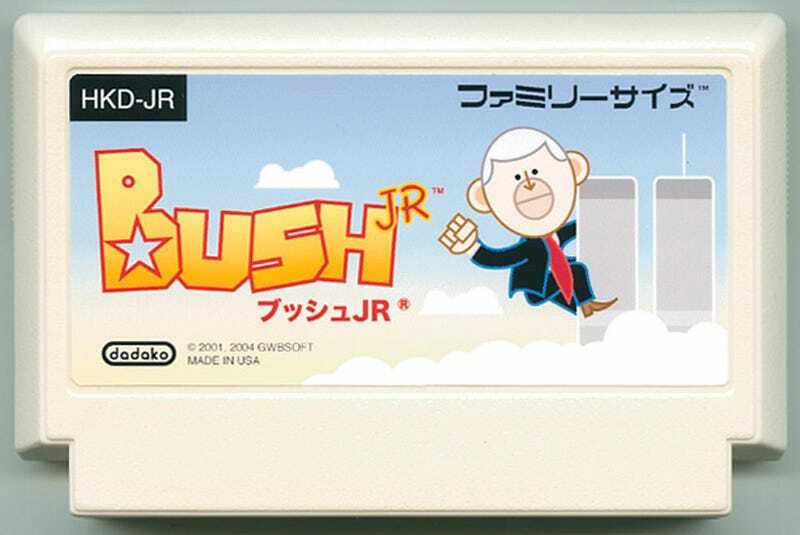 Like a lot of art, some of the cartridges are social commentary, and some are even politically charged like Bush Jr. from Tokyo-based British designer Hawken King. In an interesting twist, King has created Donkey Kong websites for marketing in Europe. My Famicase Exhibition runs until May 31.